We came across K9 Connectables which are designed to be mental stimulation for your dog. We thought we would give them a go and I’m so glad we did as they are now one of Woody’s faves! We stuffed the Connectables full of all of Woody’s favourite treats – ham, peanut butter and Kong spray and attached all of the sections together. 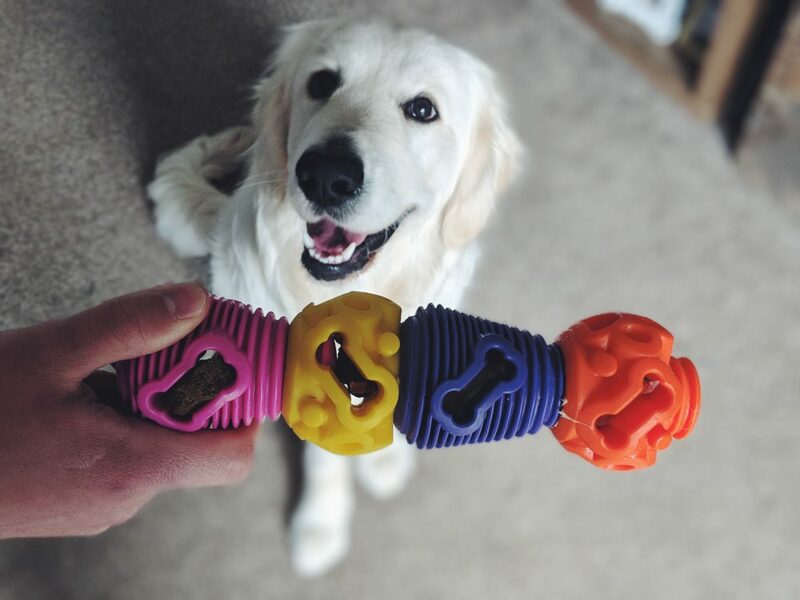 They are really cleverly designed because they have different ‘challenge levels’ when you connect the sections together which makes the toy harder or easier to pop apart (depending on what level you push them down to and how clever your doggo is!). 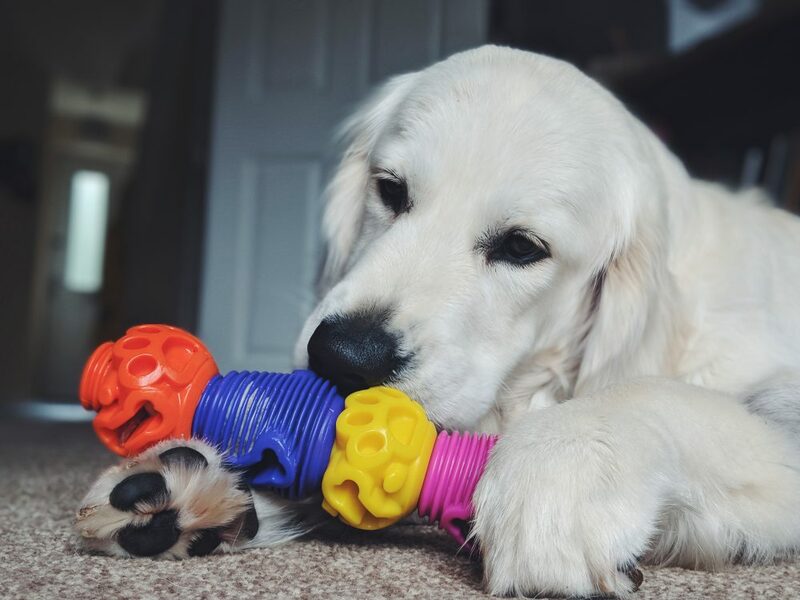 It didn’t take Woody long to discover how to break the sections apart and when he did, the toy then turned into ANOTHER new toy which made the toy fun last even longer! Other cool things about K9 Connectables are that they float (not that Woods will retrieve them if we throw them into the water), they are dishwasher safe (which is a bonus when you are stuffing them full of all kinds of foods/pastes) and they fit in a ball launcher (although we haven’t tried this out yet). Because we have been having much warmer weather here in the UK, we are going to try stuffing them with all of his favourite things and freezing them so hopefully this will be a hit too! K9 Connectables aren’t the cheapest toy on the market, I think they are worth every penny. 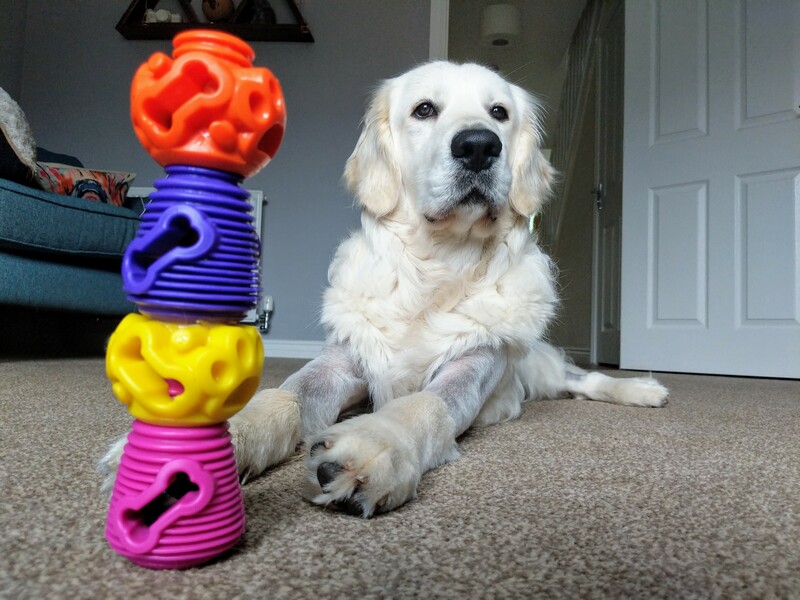 They ‘engage, stimulate and entertain’ your dog which is exactly what we are looking for when resting Woody after his operation.